Usually, they have any two popular actors announcing the nominees, or one actor and the Academy’s president, like they did last year. This year, however, they gave us this year’s host, Seth MacFarlane and actress Emma Stone. And what usually is a clinical announcement of the nominees in the main categories was turned into an entertaining little bit by both the announcers. It was interesting to see Stone sitting in the audience when MacFarlane called her, after making a joke about being alone on stage that early in the morning. What followed was some good on-stage chemistry between the two, as they revealed the nominees. 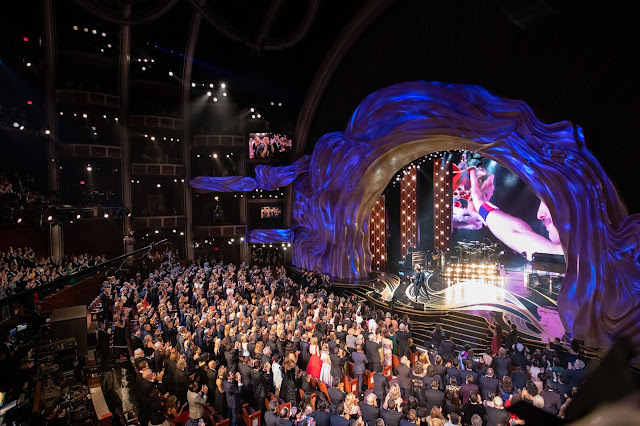 MacFarlane expressing excitement over being nominated for Best Original Song, and Stone humorously pointing out that all Supporting Actor nominees had won before, made for some good entertainment instead of simply being told who was contending. They shared bits of trivia like the youngest and oldest actresses nominated for Lead Actress being nominated this year, adding value to their presentation. It was a fun 15 minutes and made me look forward to seeing MacFarlane as host, which I was skeptical about (hoping he wouldn’t bring his FAMILY GUY sense of humor to the Dolby Theatre). It was an entertaining show for sure. I didn’t expect any less from hosts Tina Fey and Amy Poehler. They opened so well, making jokes about Meryl Streep being ‘amazing in the flu’ and Anne Hathaway looked ‘abandoned in Les Mis like she did alongside James Franco at the Oscars’. Then the presentations began, and I was left wishing for more Fey-Poehler screen time. Although they did come back every now and then for some low-blow humor like implying that being married to James Cameron must’ve been like torture for Kathryn Bigelow, etc. The presentations were quite good, barring a few awkward moments like Paul Rudd and Salma Hayek being caught off-guard when the teleprompter went blank, while everyone was waiting for them to say something. I also thought that a few of them tried too hard to be funny, like Kristen Wiig and Will Ferrell. They were funny for the first minute or so, but then their act about not having watched the movies nominated in the category they were presenting went on for too long and became tedious. Among the acceptance speeches, I think Jodie Foster’s was excellent. She made such a strong comment on the evolution of the film industry and celebrity, speaking about privacy and the redundancy of reality TV. She also made a smart comment on her sexuality. And of course, the emotions ran high when she spoke of her mother, and her life being the world of films. It was a very sophisticated speech. However, Anne Hathaway (Supporting Actress – Film, Les Misérables) had the best speech according to me. It came from a very sincere and humble place, even though it was almost certain she would win. Making that joke about the statuette being a ‘blunt object’ and then turning it into a profound statement saying that she promised to use it as a weapon against any self doubt she may have, was my favorite statement of the night. 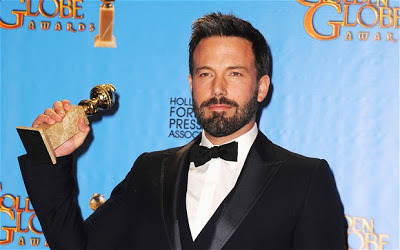 Other very endearing speeches were made by Jessica Chastain (Lead Actress – Drama, Zero Dark Thirty), Christoph Waltz (Supporting Actor – Film, Django Unchained) and Ben Affleck (Director, Argo). The results were a little surprising. I honestly didn’t expect MODERN FAMILY to not win TV Series – Comedy, and was disappointed to see GIRLS win. Drama in TV came as no surprise, with HOMELAND sweeping Series, Actor and Actress. The results of the actor and actress categories in film also came as no surprise, and neither was Les Misérables winning Best Picture – Comedy/Musical. However, Argo winning Best Picture and Director was a surprise, not because I didn’t like the film or don’t think that it deserved it, but simply because the Academy hasn’t been so generous (having not nominated it for Directing), especially since the Oscars & Globes are usually quite in-sync with at least the Picture and Director categories. While I thought Lincoln would be the big winner this year, right through till the Oscars, Argo’s wins have changed that. But I’ll review its chances at a later date, when I’m dissecting the list of Oscar nominees. Things will become clearer after the SAG Awards. So there’s the Award Season update for the last one week. 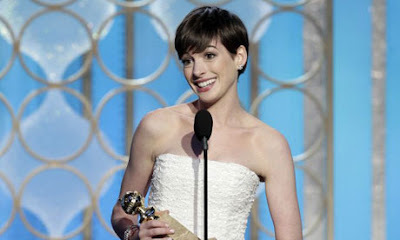 I’ll be back to predict the SAG winners, so watch this space, and do share your views on how things are going for Award Season 2012-13. Agree with most of what you said and I'd also like to add Jennifer Lawrence's speech to that list of speeches. She was a lot more "real" than most people who got on that stage. I understand having self-doubt but when it starts to get too Taylor Swift and I want to vomit. Girls winning, I can't say if it was deserved or not next to ModFam because I haven't watched any of it after the first season I saw here in 2010. I do like Girls a lot. I like the writing a lot. I don't know what it is really because I'm very repulsed by the fact that I like a show called "Girls", with mostly all girls. I'll tell a few people. That's all. I said "a lot" twice. Ick. Oh yeah and Tina and Amy, I wish there was more of them too. I don't think people cared that the teleprompter died when Salma was on stage. Hahahaha!